There is only one correctly sized furnace or boiler for your home. A unit that is oversized will turn on and off too frequently, called “short cycling”. Short cycling causes the unit to lose efficiency, and moisture can accumulate in the heat exchanger which might damage the unit over time. A unit that is undersized will run too often, and on the coldest days of the year may not be able to adequately heat the home. The heating capacity of a furnace is measured in thousands of BTU (British Thermal Units). Furnaces are rated by the amount of fuel energy consumed when running, called input BTU. Different furnaces of the same input BTU will have different output BTU depending on the furnace efficiency. Select a furnace for your home according to the output BTU, as this is the actual heating capacity of the furnace. You can easily calculate the output BTU by multiplying the input BTU by the efficiency percentage. For example a 100,000 BTU furnace at 80% efficiency will produce 80,000 BTU of heat output while a 100,000 BTU furnace at 95% efficiency will produce 95,000 BTU of heat output. Bishop Plumbing, Heating & Air Conditioning carries furnaces by York, boilers by Lochinvar, Triangle Tube, Teledyne Laars, and high-efficiency space heaters and water heater combinations by Prestige. All of our products work well and stand up to the harsh weather conditions that we experience each season in Aspen, Vail and Glenwood Springs. The York Affinity Series furnaces have efficiency up to 98% AFUE. The Affinity is engineered and designed from the ground up to give you more comfort and options than ever before. They are engineered to meet or exceed U.S. Environmental Protection Agency energy efficiency standards of 90% AFUE and qualify as an ENERGY STAR® product. York® products that bear the Good Housekeeping Seal give you the added assurance of product replacement or refund of the purchase price if the product proves to be defective within two years from the date sold by an authorized dealer. The compact design of the York has one of the smallest cabinets in the industry—just 33 inches high. When replacing older units, you can save time and money, since it easily fits in the existing space. The ClimaTrak humidity controls customize your comfort regardless of whether you live in a dry, temperate or humid climate. York furnaces feature reinforced cabinets, a modulating design that continuously adjusts heating level by 1%increments to match the degree of comfort you need exactly, an outstanding limited parts warranty, plus impressive compressor warranty coverage. 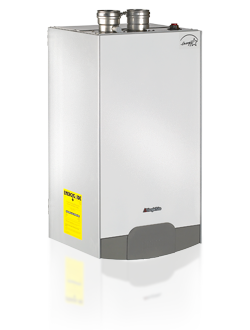 Bishop Plumbing, Heating & Air Conditioning sells the Lochinvar boiler with 96% AFUE efficiency. The boiler features stainless steel construction, fire tube construction, a built-in cascading sequencer, and models ranging 55,000 – 399,999 BTU/HR. The KNIGHT Wall Mount is engineered with features far ahead of any heating boiler in its class. It promises and delivers ultimate ease of installation and maintenance.With up to 99% thermal efficiency, low-NOx emissions and a fully modulating burner, it is the best ”green choice” for today’s environmentally focused market.Lochinvar products feature a multi-color graphic LCD display, a USB dial, and the ability to control up to three different set point temperatures.The “lead unit” boiler modulates with demand to capacity.As demand increases, additional boilers fire and modulate to capacity. This continues, with additional boilers firing and modulating to capacity until all units are operating. Every 24 hours, the SMART SYSTEM automatically shifts the lead boiler role to the next in the sequence, distributing lead-lag run times equally. Click here to learn about BOILERS.